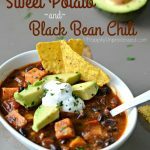 This is BY FAR one of my favorite soups and I can hardly wait for Fall to come around so I can make it. 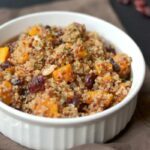 With butternut squash, sweet potatoes, carrots and warm spices, like cinnamon and nutmeg it’s tastes just like fall in a bowl. 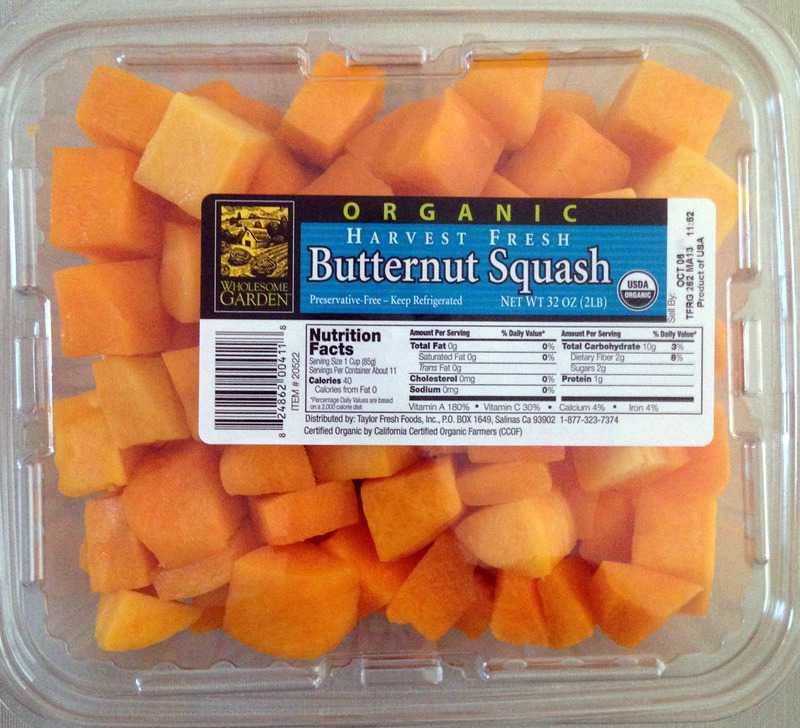 The hardest part is wrestling with your butternut squash, so now I buy it from Costco. You can’t beat the price, it’s fresh, it’s cut up, and it’s organic. 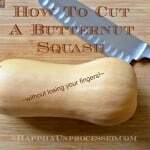 But if you really want to cut it up yourself, we have a post on how to do it. 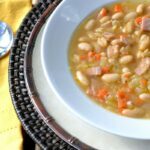 A common ingredient for this soup believe it or not is coconut milk, and as much as I LOVE coconut, I just feel it’s one of those ingredients that a lot of people misunderstand. There is very little coconut flavor, but what it does do is add a creaminess to the soup. I didn’t want to turn you guys away with that though, plus what do you do with the rest of the milk you’re not using? So instead I used good old fashioned broth and a little cream. You don’t need a lot, this isn’t really a CREAMY type of soup. It gets all that thickness purely from the vegetables… which did I mention are ROASTED? As pretty as this picture looks, I quickly realized I needed TWO baking sheets for this soup. I told you it was packed with nutrition! My objective with taking this picture was to show you the size in which I cut up the veggies. You want pretty good sized chunks, but most importantly the same SIZED chunks. But once the veggies are nice and roasted I threw them in with the onions and garlic that were sauteeing away in a pot on the stove. Then added the broth, spices and cream. I, of course, use Homemade Chicken Broth. I always make it with no salt added so I can taste and add it to whatever I am making. Once you have everything (except the cream) you can either emulsify the soup using an immersion blender like I have or very carefully blend it in a blender. Then let the soup simmer for 15 minutes or so. Taste it for seasoning and thickness. I had to add a little more broth because like I said there’s a lot of veggies in there and depending on whether you use full sodium, low sodium or homemade broth, that will play in to how much salt you need to add. 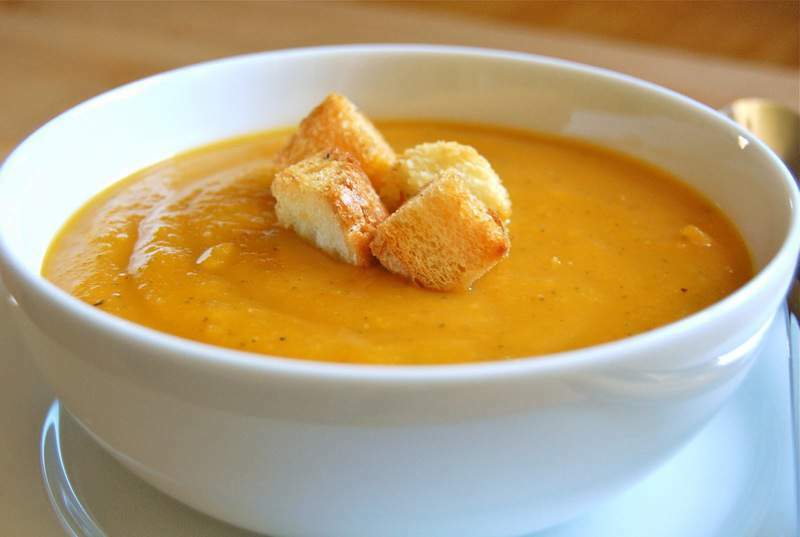 This soup is very healthy, very low fat, very low sodium, gluten free. If you’re going to have soup, make it GOOD soup and you have to top it with Whole Wheat Buttery Garlic Homemade Croutons! It totally makes it. 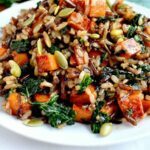 Place the carrots, butternut squash & sweet potato in a large bowl and drizzle with olive oil and season with salt and pepper. Place the veggies on 2 baking sheets lined with parchment paper and roast 35-40 minutes until tender. Meanwhile saute the onions in a saucepan with 1-2 Tablespoons of olive oil until translucent (approx. 4 min). Add the garlic, stir and cook another minute. Add the roasted vegetables, vegetable and chicken broth and spices. Using an immersion blender, blend the soup until smooth. Take the soup off the heat and add the milk and cream. Stir to combine. Add more broth or cream if you desire until you get the consistency you like.